Cover photo by John Dickey. 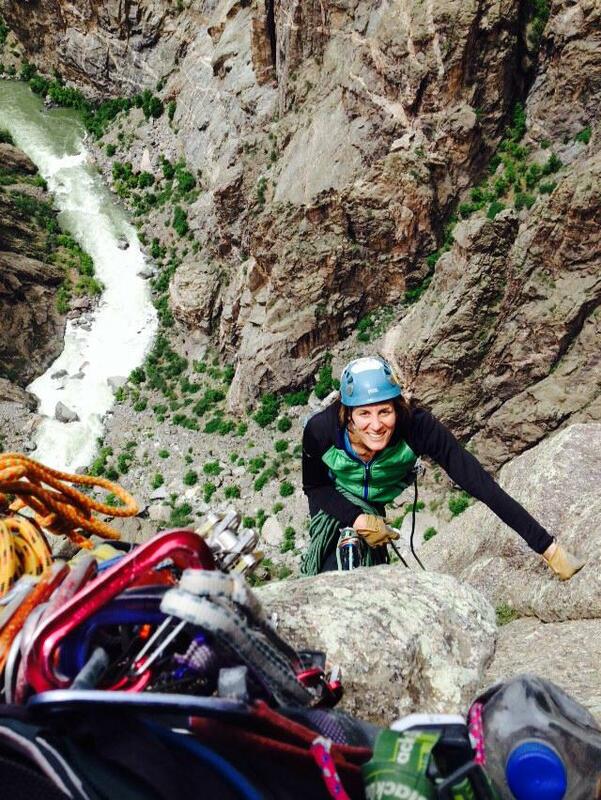 In late August last year the professional climbers Madaleine Sorkin and Kate Rutherford were climbing in the Wind River Range, Wyoming, when a climber died in a rappelling accident. Michael Sullivan, aged 54 from Durango, Colorado, fell around 600-feet after he lost his footing while unroped at a rappel station on Steeple Peak. With no means of communication his climbing partner had to hike a considerable distance until she chanced upon Sorkin and Rutherford who had a satellite phone with which to call for help. Sorkin and Rutherford walked out with the climber, who was on a trip funded by an American Alpine Club (AAC) Live Your Dream grant. Sorkin was struck by how sad and incongruous this was given the traumatic event that had just occurred. It was then that Sorkin approached the AAC to discuss the idea of a grief fund, an intentionally created community resource to help members of the climbing community deal with loss, trauma, grief and change. The AAC responded enthusiastically and the wheels were set in motion for the creation of a donation-based Climbing Grief Fund. "We experience loss, we experience unwanted change, and inevitably we all find ourselves staring into the abyss, the void, the BLACK." —Madaleine Sorkin, Climbing Grief Fund Founder. Photo by Yuefeng D / CC BY 2.0. The fund, which will hopefully be available in fall 2018, will initially enable the AAC to build out a comprehensive online resource to help people process and cope with trauma and loss. It is also hoped the fund will be able to offer grants for individuals to undertake therapy sessions, as well as group counselling sessions at existing events like the American Alpine Cragging Classics. Support like this will make a huge difference to the climbing community, particularly as the cost of therapy and counselling is prohibitive to many. Madaleine Sorkin leading the first pitch of Qualgeist (5.12b) in the Black Canyon of the Gunnison. Kate Rutherford belaying. Photo by Chris Noble @noblefoto. The Black Canyon of the Gunnison National Park is a 2,000-foot deep, river-cut gorge in western Colorado. Famous for its intimidating and serious setting and long and committing routes, the Black Canyon attracts climbers seeking everything from adventure and athletic daring, to a deeper connection and understanding of themselves and their partners through overcoming the challenges of climbing there. 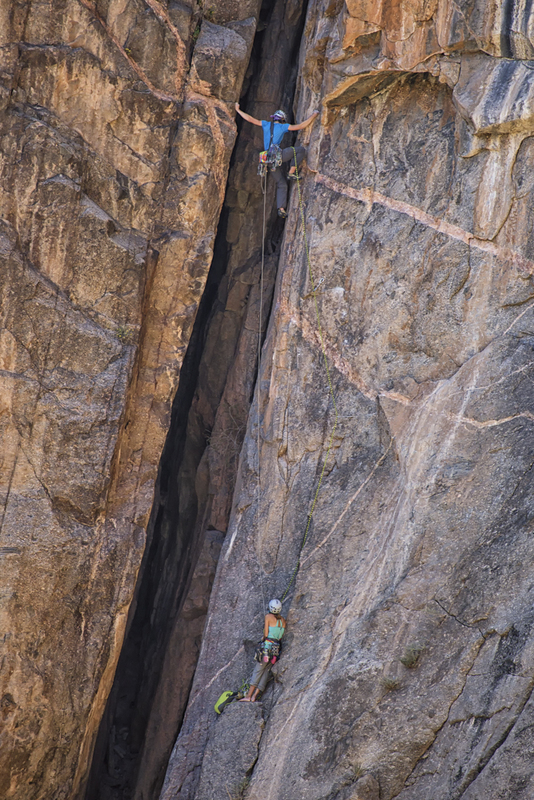 On May 25, Sorkin and Mary Harlan will attempt to link three major formations in the Black Canyon in 24 hours as a fundraiser for the Climbing Grief Fund. Sorkin approached Harlan, who was in the process of planning a link-up project in Zion, with her idea to climb three Black Canyon routes in 24 hours and was surprised by how quickly Harlan agreed to join her. Harlan, who is a mother, firefighter and successful climber felt instantly motivated to join Sorkin and use climbing as a way to give back to the community. Mary Harlan on one of her many trips to the Black Canyon. Photo by Stephanie Bergner. Both Sorkin and Harlan are experienced Black Canyon climbers, having tackled challenging free climbs in the daunting canyon. Harlan, based in Carbondale, Colorado, has climbed over 40 routes there. Many who have climbed in the Black Canyon can relate with that story. Being benighted in the canyon is not uncommon. Loose rock, route finding and poison ivy are just a few examples of the many challenges the Canyon holds, and climbing epics often lurk just around the corner. Sorkin and Harlan will link three grade IV or V routes back-to-back: Scenic Cruise (V 5.10+, 13 pitches) on the North Rim Chasm View Wall; Astro Dog (V 5.11+, 14 pitches) on the South Rim; and, most likely, Russian Arête (IV 5.9+, 7 pitches), also on the North Rim. The Black Canyon from Exclamation Point. Photo by Megan Janssen. To donate to the Climbing Grief Fund please visit the donation website. Outdoor Research, a sponsor of Sorkin's who is involved with the AAC, is providing a match of up to $5,000 for all donations made to the Climbing Grief Fund between May 15 and June 15.